Already receiving widespread critical acclaim, the album features new recordings by Zac Brown, Brandy Clark, Brent Cobb, Anderson East, Jason Isbell, Shooter Jennings,Jamey Johnson, Miranda Lambert, Rich Robinson, Morgane Stapleton with Chris Stapleton, John Paul White and Holly Williams. Comprised of songs rooted in country, blues, folk and rock, the record is inspired by the post Civil War concept album “White Mansions”, written by British performer Paul Kennerley, produced by Glyn Johns and featuring musicians like Waylon Jennings and Eric Clapton. In celebration of the release, a special 30-minute behind-the-scenes look at the making of the record began airing today at CMT and CMT MUSIC and can be viewed in full at CMT.com. Cobb was recently recognized with two awards at the 58th Annual Grammy Awards—Best Country Album (Stapleton’s Traveller) and Best Americana Album (Isbell’s Something More Than Free). Previous awards include the 2015 CMA Award for Album of the Year (Stapleton’s Traveller) and the 2014 Americana Music Award for Album of the Year (Isbell’sSoutheastern) as well as previous Grammy nominations in 2011 and 2007 for Best Country Album (Johnson’s The Guitar Song and That Lonesome Song). 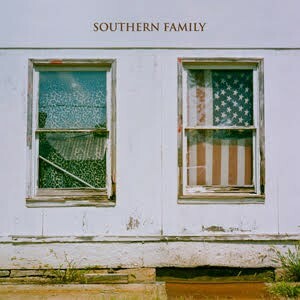 For more information on “Southern Family”, visit www.southernfamilymusic.com.